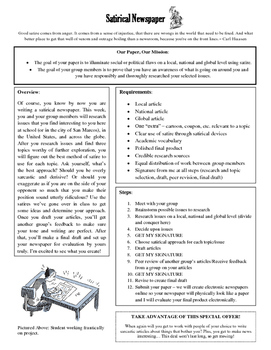 Students are asked to demonstrate their understanding of the purpose and features of satire by creating a satirical newspaper. 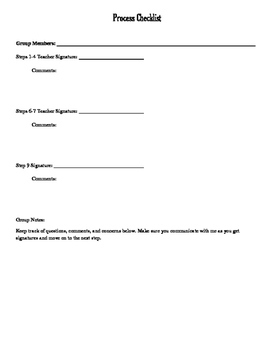 Students are asked to collaborate in a group setting to gather research and compose satirical articles based on careful and deliberate writing choices. This multi-step process includes brainstorming, researching, drafting, editing, and composition. A checklist is included for student and teacher assistance, preventing misunderstanding along the way. Students are able to take ownership of the process while receiving guidance and advice throughout the process. 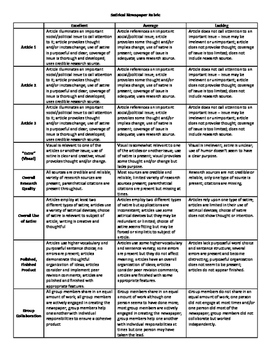 A thorough and detailed rubric is also included to clarify expectations and simplify the grading process. This assignment is well-suited for 11th and 12th graders.